Introduction to Laser Technology 4th ed. 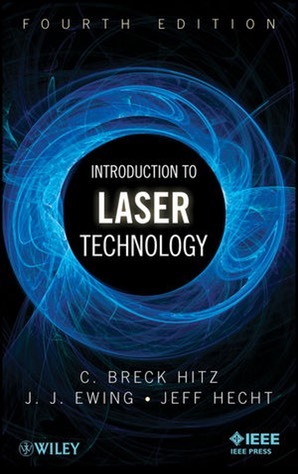 is a textbook for technicians and engineers developed for short courses taught by C. Breck Hitz, the executive director of LEOMA, the Laser and Electro-Optics Manufacturers' Association. J. J. Ewing and I contributed material to it. It is intended more as a textbook than Understanding Fiber Optics. The only introductory text on the market today that explains the underlying physics and engineering applicable to all lasers Although lasers are becoming increasingly important in our high-tech environment, many technicians and engineers who install, operate, and maintain them have had little, if any, formal training in the field of electro-optics. This can result in less efficient usage of these important tools. Introduction to Laser Technology, Fourth Edition provides readers with a good understanding of what a laser is and what it can and cannot do. The book explains what types of laser to use for different purposes and how a laser can be modified to improve its performance in a given application. With a unique combination of clarity and technical depth, the book explains the characteristics and important applications of commercial lasers worldwide and discusses light and optics, the fundamental elements of lasers, and laser modification.